A series of brutal murders compels Lady Mechanika’s associate Mr. Lewis to confront the ghosts of his past. But the mechanical huntress herself becomes involved when an eyewitness places her at the scene of the crime, forcing even her former ally Detective Inspector Singh to consider: is Lady Mechanika a crime fighting hero… or a cold blooded killer? 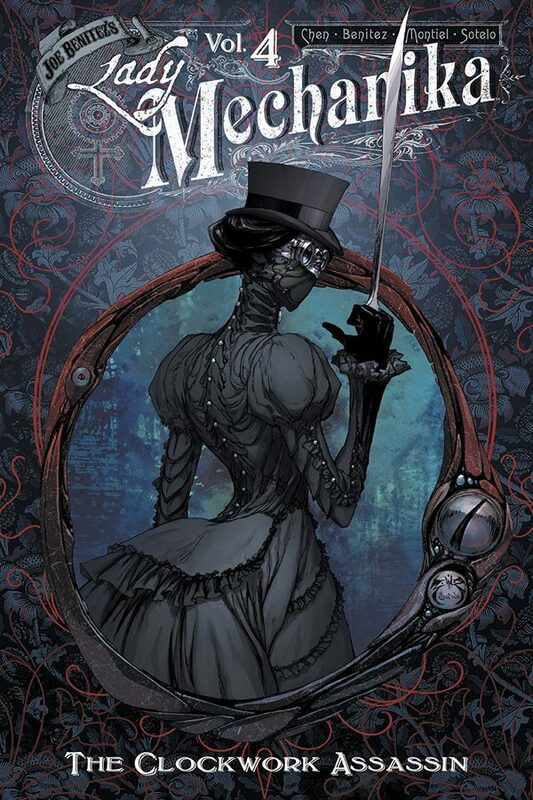 This volume collects the fourth story in the Lady Mechanika series, The Clockwork Assassin, along with a gorgeous cover art gallery.